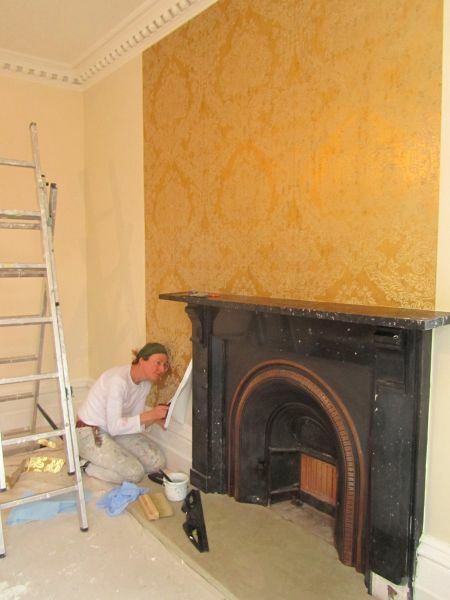 I am an experienced painter and decorator, working in the Nottingham area. If you'd like to arrange a free quote, you can contact me via the enquiry form, telephone or email to discuss your project. I can then arrange a convenient time to come and look at the job and to discuss your needs. I will be happy to supply colour cards, paint samples and sound friendly advice. You will then receive a fully detailed written estimate, clearly describing each stage of the work with the materials and costs quoted for each room, the grand total, my terms of business, and my first available dates and completion times. I will advise you about the best quality paint and materials available within your budget. I will be happy to provide a quote for more environmentally friendly paints and materials in comparison to standard trade paints. To ensure availability, I encourage you to think ahead and plan your decorating well in advance. Whether it's wallpapering your hall, stairs & landing, painting a nursery, decorating a room or the whole house, you can trust me to be tidy and considerate at all times. Plus I'm happy to offer advice on colour palettes and paint finishes.